Diane von Furstenberg is one of the leading contemporary American fashion designers having introduced and sold millions of her signature wrap dress, and becoming a fixture on the New York Fashion Week circuit. Diane von Furstenberg ready-to-wear collections are feminine and classic, while nodding to the themes of the current season. Diane von Furstenburg dresses are well known for being bold, beautiful, and organic in their styling and fabrics. 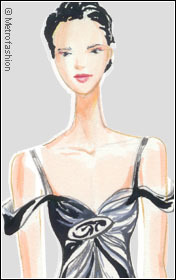 Fashionistas can view the latest collections at www.dvf.com. 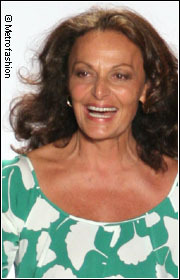 The website is easy to use and presents biographical and press event information for the DVF fashion house. Fall Winter 2008 2009 mixes deep rich houndstooth styles in pants and trenchcoats with delicate floral chiffon dresses and satiny blouses. Fashion video from Eric Ben (username trollo), fashion designer from Mexico, covering the Diane von Furstenberg Fall Winter 2008 2009 Collection from New York Fashion Week. A bold autumn collection featuring two-color floral patterns and rich textures, this group re-emphasizes the importance of black/white combinations. Diane von Furstenberg Fall 2008 shows off sassy short skirts and easy-going overcoats.